Back in January, Eli Roth teased the release of his long-delayed The Green Inferno, saying that he expected the film to release sometime this summer. Today, the mad man behind it all announced on Facebook that The Green Inferno is indeed coming this year with a release date set for September 25th. Now we wait! 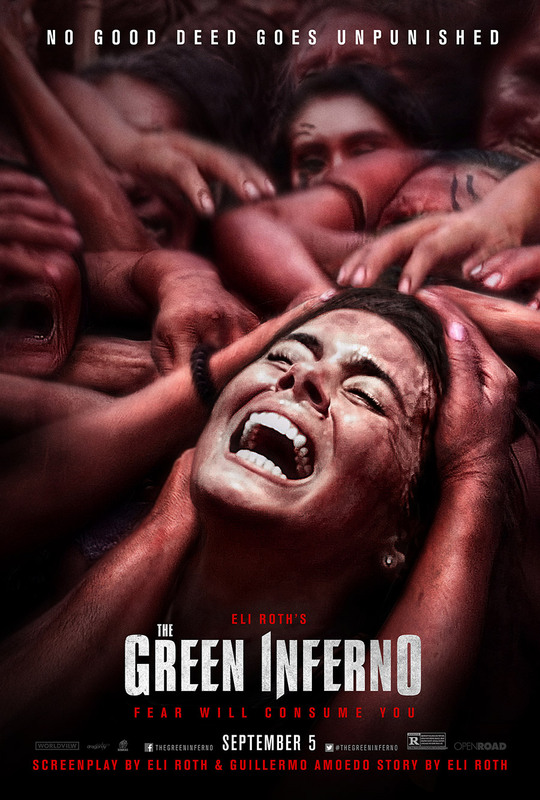 While the film was due to hit theaters last September, and the wait has been a painful one (for Roth fans, anyway), it’s nice to see The Green Inferno slated for an official release again, even if it is still a few months away. The big thing left to wonder is whether or not the film will actually live up to all the hype, especially after such a lengthy delay. That said, Roth fans have plenty to be excited about because we now have two films of his to look forward to this year with Knock Knock and now this. Nice! Is this FINALLY coming out?? it’s probably won’t be any good after all of this…. I’ll believe it when I see it … That’s all I’m gonna say! Can’t wait to see this one. Ryan do you think it will stay true to the storyline of Cannibal Holocaust? Nah, probably not. I think Cannibal Holocaust was more of an inspiration to make a similar movie than anything else. I could be wrong, though. There’s no way it’s as nasty! Oh boy, my skin was starting to crawl just reading your post! I hope fans won’t be disappointed by this film. Hopefully it lives up to the hype. I hope so! I have heard some good things from previous screenings, so we’ll see!